Thomas discovered and instantly became a fan of Unix and NeXTSTeP in late 80's, though only from books at the local library. He started using linux around 1993, with kernel version 1.something , at a time where installing Linux meant copying 70 floppy disks, messing with kernel compilation, very poor hardware support, undocumented tricks, and not enough memory to start the X-Window system. His first system administration challenge was to configure mail over uucp to receive kernel patches through a mailing list. Today, he hosts and administers Freehackers along with several other linux servers and develops Free Software for Fun. He can be found as 'orzel' on the freenode irc network. 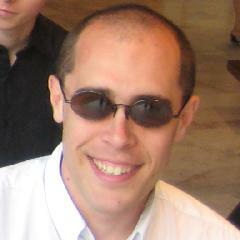 Philippe has been an enthusiastic Free Software user and developer for several years. He was initiated by beard hackers from ENST Bretagne, at a time where Mosaic was the true standard compliant browser and Netscape was seen as the evil software that introduced proprietary tags, not part of HTML 1.0 . He is a big fan of python and Qt. Despite that, he nowadays only has Windows on his laptop, but will soon have again a partition for linux, he swears. This page was last edited on 7 November 2014, at 21:49.